Choose Abaya Length --- Please Select --- Length: 54"- Your height 5'2" Length: 56"- Your height 5'4" Length: 58"- Your height 5'6" Length: 60"- Your height 5'8" Length: 62"- Your height 5'10"
An everyday abaya that can be dressed down or glammed up. Another layer, in contrast, has been added to give you extra room for movement. Printed borders and sleeves make this abaya more eye-catching. This article is made of 'American Crepe' and mainly of Nida (Matt Finish) fabric which is very Soft, Breathable, Light Weight and easy to maintain. It gives a good fall to the garment. Standard length is 56-57 inches. Customization is possible upon request. Standard length is 56-57 inches. Customization is possible upon request but customization products are not returnable! 3XL, 4XL, 5XL and length- 52" products [customization products] are not returnable! Dry clean, machine or hand wash can be done. Ironing on low heat is preferable. This item is without the accessory (Hijab) worn by the model. Disclaimer- Colours displayed here may vary slightly from the actual color due to the digital photo shoot and changes in lighting. 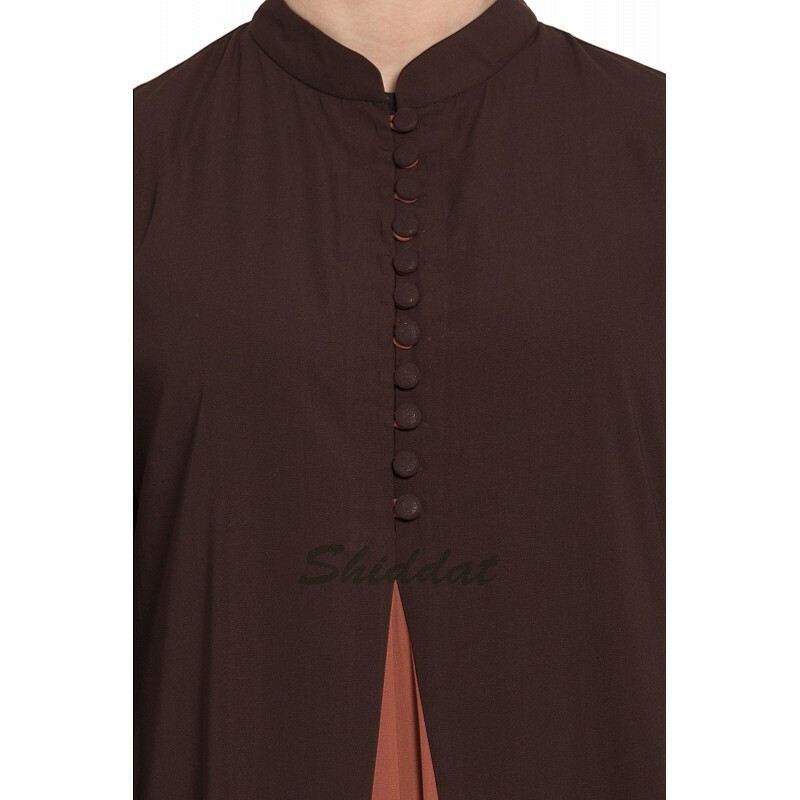 Cash on delivery as well as online payment for this A-line abaya is available. Also free shipping to any part of India. The product will be delivered within 5 to 10 working days from the date of placing the order.